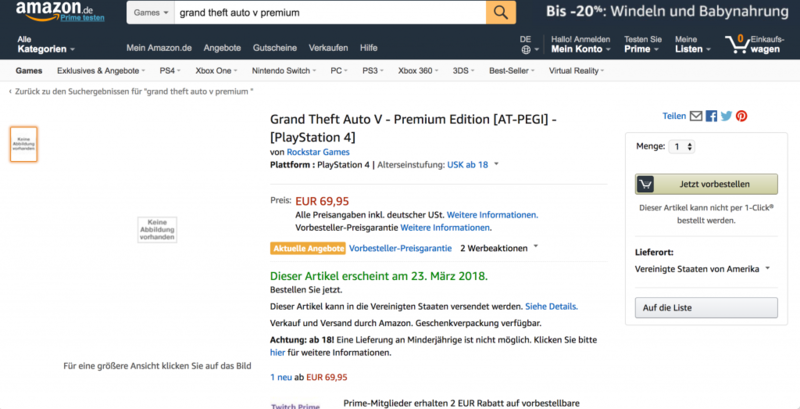 Amazon Germany listed new product called Grand Theft Auto V – Premium Edition, last weekend. It says Premium Edition will release at March 23 for PS4 and Xbox One, €69.95. It is already removed from the site as you might expected and Rockstar is being silence. So we have to wait till March to find out if it is ture.